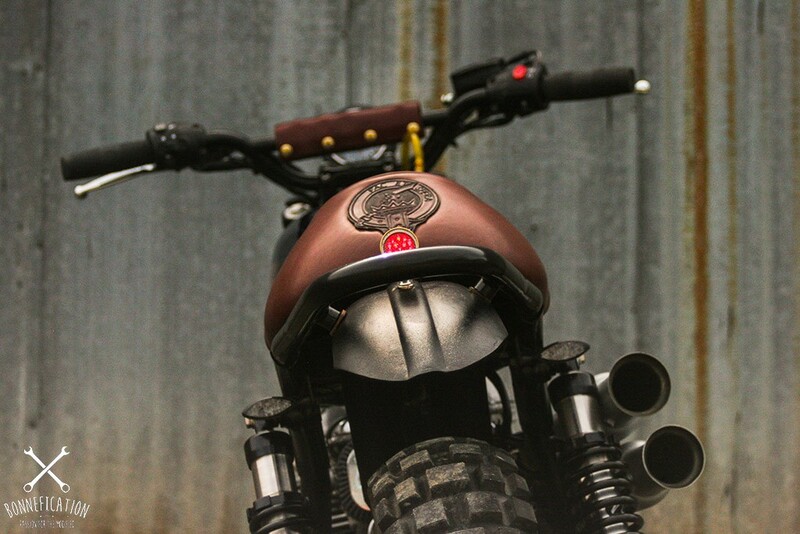 Studio 9 Cycles – T100 Cherry Log Rd. 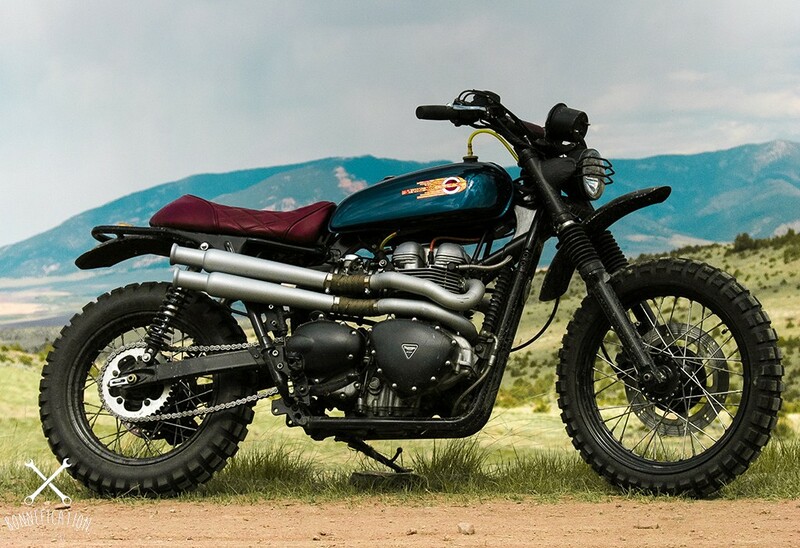 Will we ever see the back of knobbly tired wannabe off-road Triumph Twins? 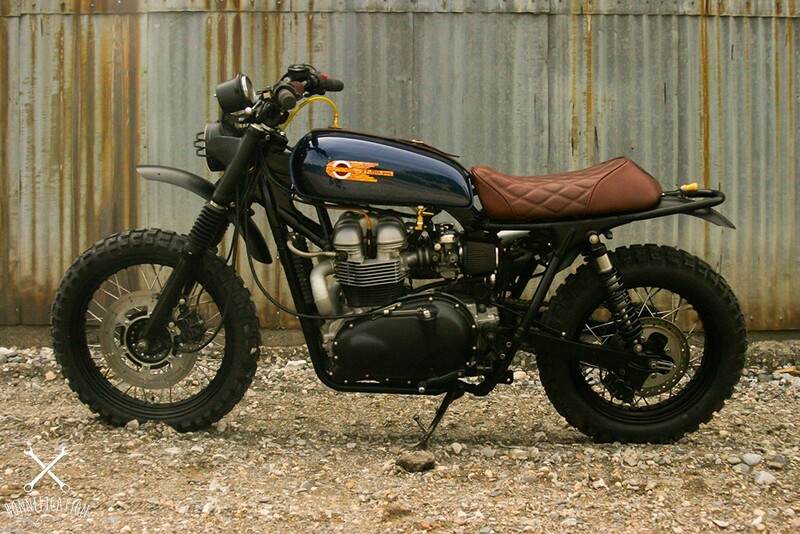 – Bikes which are often just Scramblerised Bonnevilles and T100? – Personally I really hope not, but saying that, I don’t want to see too many jacked-up, USD forked, piles of big budget bling either. They may look good and you just may love them, but…. why! 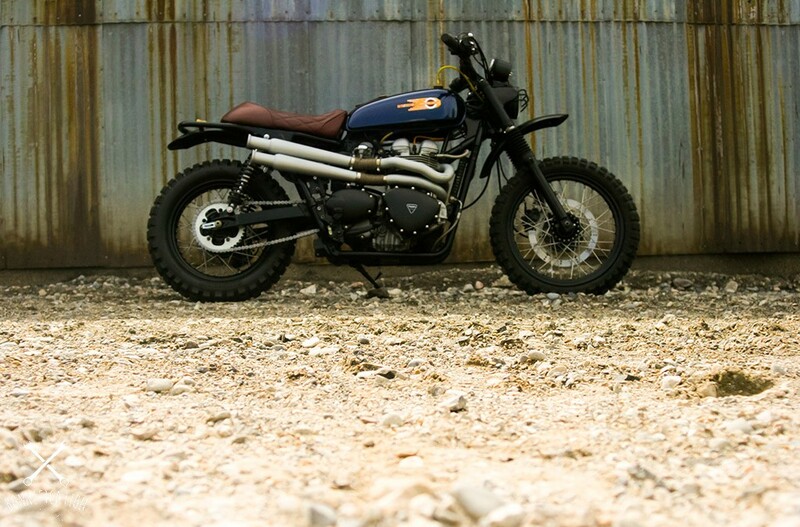 – yes they look amazing on motorcycle websites, but there not going to do the Paris Dakar, which is what they look liked they were built for – Scramblerising the Triumph Twin is about taking the Triumph back to its off-road roots, to a simple and low tech time, when the Triumph was one of the best off-road machines money could buy. 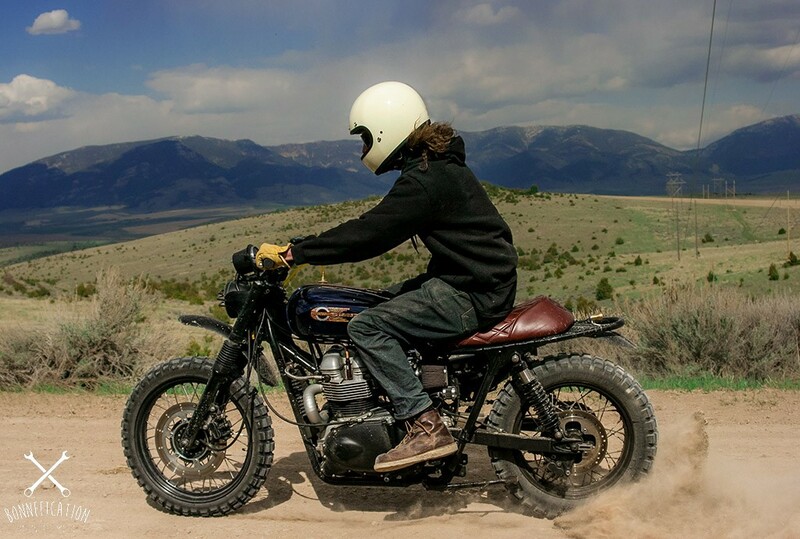 Scramblerising is not about building a serious dirt bike, it’s about creating a homage to the past, a homage which will also put one hell of a smile on your face when its kicking up the dirt. 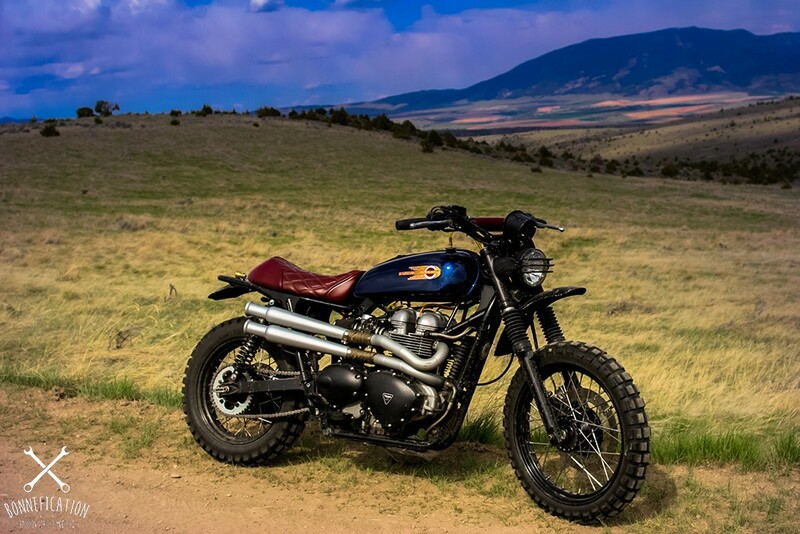 One such build is by Duncan Matheson of Studio 9 Cycles, who scramblerised a T100 for his cousin, a bike which was also inspired by a poem by James Dickey…. 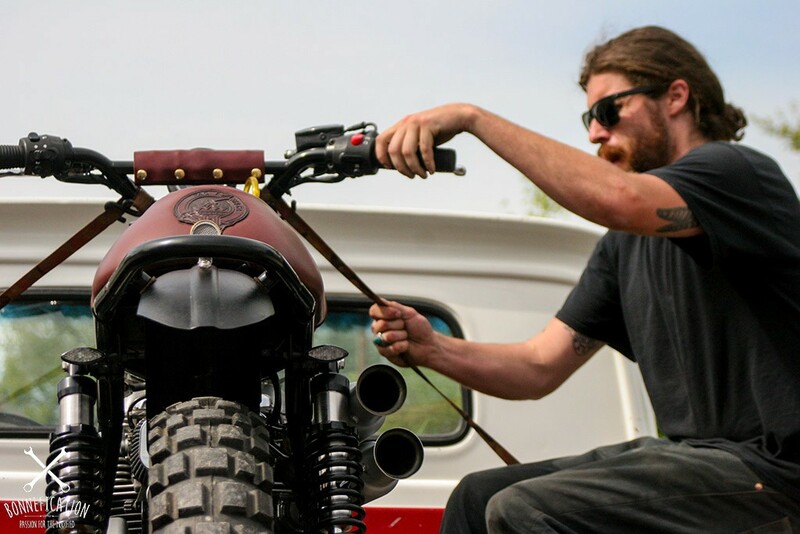 Duncan found a 2003 T-100 at the local Triumph dealership and set to work. 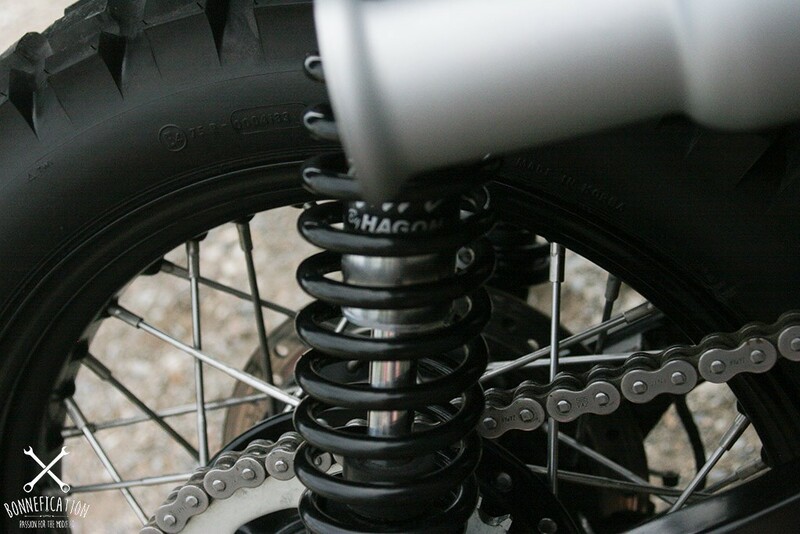 The rear subframe was cut and looped and a Yamaha RD 350 tank was adapted to fit the frame giving this Scramblerised T100 an a really cool and unique look. 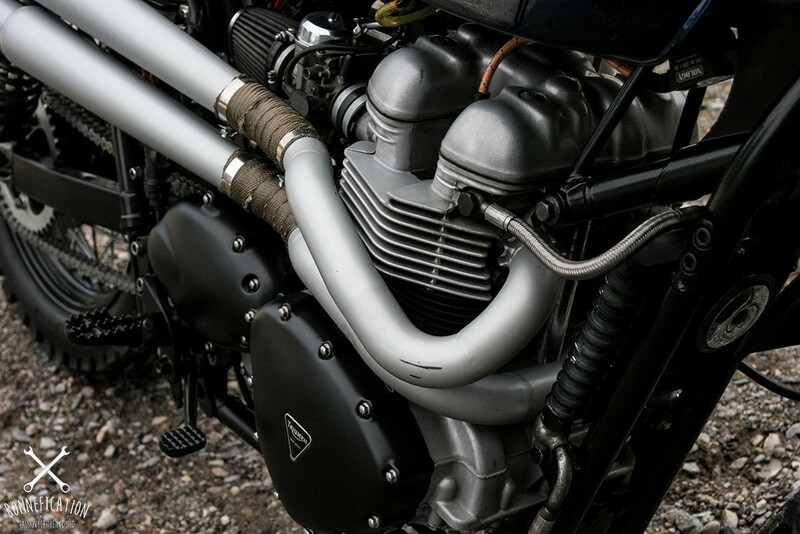 To give the Triumph some breathing room, high cocktail shaker exhaust and K&N air cleaner were fitted, which combined with a Nology profires coil and programmable ignitor from British Customs give this ‘Sled’ some punch. Wheels are the stock items which were powder coated by Vivicoat who are based local to Dincam, these were then relaced, and fitted with Continental TKC 80’s. 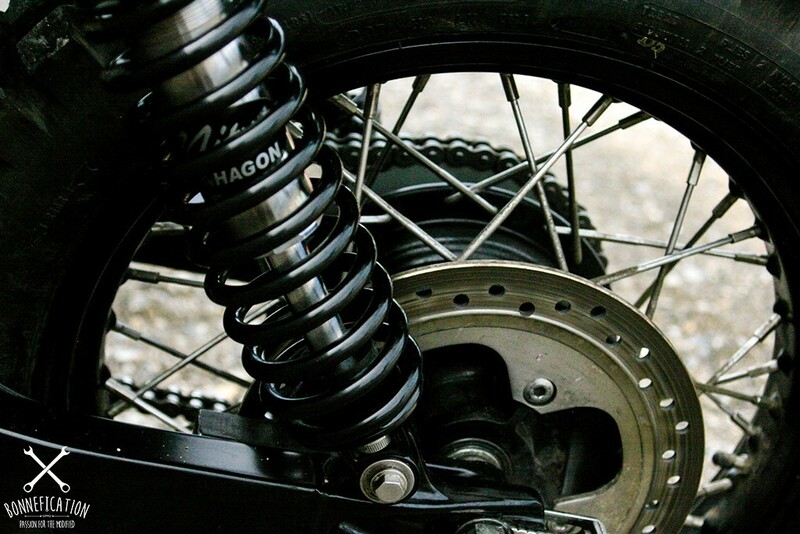 The stock rear shocks found the skip and has been replaced with a set of Hagon Nitro’s. The seat base and foam was fabricated in house and upholstered by Mike Wood of Mike’s trim and upholstery. 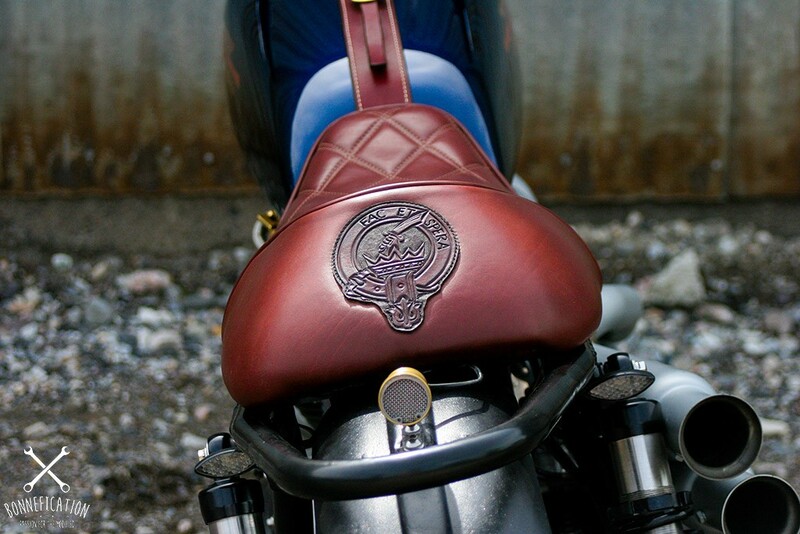 The cool hand carving and hard leather detailing on the seat was done by Brian Esslinger of Black Sheep Custom Leather who is again a friend of Duncans. 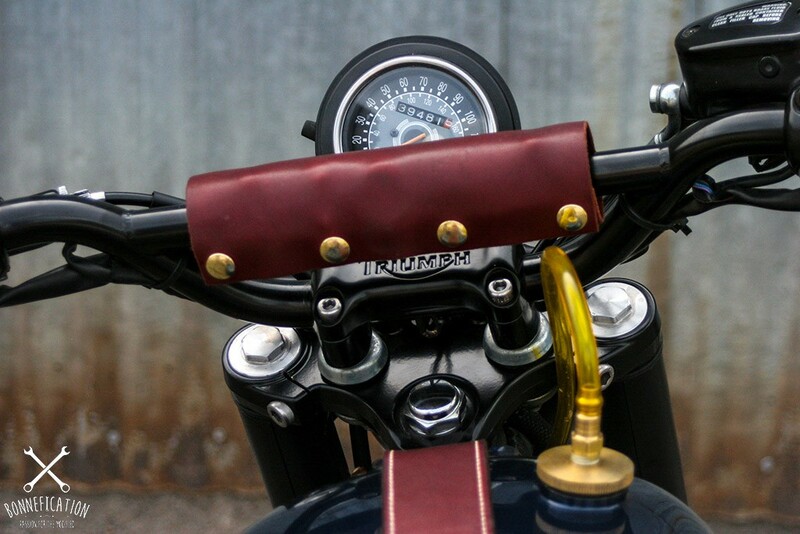 Other details include a rewire using the Motogadget m-unit with na m-lock RFID ignition, custom in-house speedo/turn signals/headlight mount and headlight guard, paint is by McGinley Motorsports.